Publishers New South are producing a series of books, penned as memoirs or love-letters to the author's hometown. 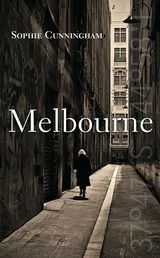 Having read Sophie Cunningham's Melbourne late last year, I was intrigued to contrast and compare her highly personal journey through the city, and its mix of anecdote and history, with Delia Falconer's homage to my former hometown, Sydney. I read many reviews of Cunningham's book before I dived in myself. They uniformly fell into one of two camps: Melbourne reviewers loved it, Sydney reviewers felt excluded by it and commented on its narrowness. The inside cover of the book features a hand-drawn map of Melbourne. It extends from Footscray in the west, with an arrow pointing to Geelon;, to Hawthorn in the east, this time with Camberwell represented on an arrow; and to Brunswick in the north. You can see then where some of the criticism around its blinkered perspective came from. I didn't find it narrow. True, my six years in Melbourne have geographically coincided with Cunningham's experience of the city. It seemed clear that New South's brief to the author was to write her Melbourne. The book was a synedoche of the city: Cunningham's experience of Melbourne, seen through the prism of a select number of suburbs and interests, stands in for the wider, general experience of other suburbs and occupations. I did find it strangely jumbled, however. Cunningham frequently jumped between personal anecdotes to issues of national history and culture via some spurious tangents. References to Meanjin articles were frequent; fair enough, given the author is a former editor of the journal, but it pushed the personal touch a little too far. It was fine for Cunningham to focus on her experience, but to mainly bring in support from within that personal experience was a little too inward. Her account of Melbourne is reverent, loving and at times admonishing. More so than Falconer, she uses Melbourne as a springboard - or testing ground - for national issues. In a discussion on comedy, for example, she rightly points out Melbourne's strong comedy scene as host of the International Comedy Festival. She quotes Rod Quantock, who says he would 'never be a regular guest on Hey Hey It's Saturday', which provides a link for Cunningham to discuss - in a single paragraph - the show's re-emergence, the fact that the majority of its audience came from Melbourne, memories of her and her brother watching the original, and the psyche of homegrown humour inculcated under John Howard. The links are valid, but the execution is necessarily jumbled as she moves between the personal and the public without so much as a hard return. Delia Falconer takes longer to warm her audience to Sydney. In the opening pages she says Sydney's 'fundamental temperament is melancholy'. In fact, while 'Sydney may look golden' its bright notes 'cast themselves out across a great abyss'. Her Sydney is more ephemeral than Cunningham's Melbourne. Perhaps this is where Cunningham's narrow-gauge storytelling has its strength. It is possible to make valid sweeping generalisations about Fitzroy; harder to make them stick to a full metropolis, which Falconer attempts. Her Sydney is a city with its own light, a city haunted by an erased indigenous history, a unique city in Australia with it origins in the conflict between prisoners and middle-class law enforcers. Falconer's childhood memories seem to come from a further-off place. I was surprised when I checked to discover she is actually three years younger than Cunningham. Perhaps therein lies a truth about the two cities, and their eternal divide - maybe Sydney stayed in the past for longer, and the city's 'brashness', which Falconer both highlights and criticises, is in fact symptomatic of its desire to grow up quickly.